Istanbul is one of the truly great romantic cities. Istanbul is home to a layering of civilization on civilization, of empire built on empire. A stroll through this historic city will reveal ancient Roman hippodromes, peristyles, and aqueducts, the greatest excesses of the Byzantine Empire and the mystique and power of the Ottoman Empire. In this sprawling, continent-spanning city you can tramp the streets where crusaders and janissaries once marched; admire mosques that are the most sublime architectural expressions of Islamic piety; peer into the sultan's harem; and hunt for bargains in the Kapali Çarsi. Ayasofya,Topkapi Palace, Dolmabahce Palace, the Blue Mosque, the Grand Bazaar and the Egyptian Spice Bazaar, Suleymaniye Camii, St. Savior in Chora, the New Mosque, Galata Tower, Taksim Square, the Hippodrome and so much more! Centrally located in Anatolia, Ankara is the capital of Turkey and the country's second largest city after Istanbul. 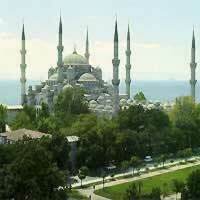 It is an important commercial and cultural city. Ankara boasts a number of prestigious universities and technical colleges, as well as the largest library in the country. It is also a center for opera, ballet, jazz, and modern dance, and is home of the Presidential Symphony Orchestra, the State Theatre, and the State Opera and Ballet. The most interesting part of the city is Ulus, the old part of town. The main sight is the Kale, the fortress overlooking the city. Around town you will find a few remains of Roman times, like the Augustus temple, which became famous with historians because of the 'Monumentum Ancyranum', the legacy of emperor Augustus. Next to the temple ruin you will find the tomb of Haci Bayram and his mosque. Formerly known as Hallicarnassus, Bodrum is the home of the great Mausoleum, one the seven wonders of antiquity, the famous castle, amphitheatre and to a very unique marine museum. 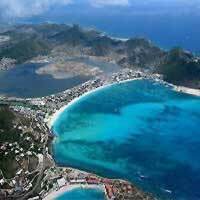 Nowadays, it is Turkey's most popular seaside tourist destination, a party town with a magnificent mountain surrounding, that is full of great markets. The most impressive landmark is the Bodrum Castle, built by the Crusaders in the 15th century, overlooking the harbor and the International Marina. The castle grounds includes a Museum of Underwater Archeology and hosts several cultural festivals throughout the year. From here, you can take daytrips to the nearby islands or you can enjoy the Mavi Yoluculu (the "Blue Cruise"), Cevat's romanticized weeklong journey along the glorious coastlines of the Mediterranean. Situated in a superb gulf in the Aegean region of Turkey, Kusadasi, or the "bird island", is known for its turquoise sparkling water of the Sea, broad sandy beaches, bright sun and large marina. Besides the great beaches there are some interesting historic landmarks not to be missed such as: the ancient ruins of the fortress and its gates, which remind to this day of the impact the Ottomans had on the city at the beginning of the 15th century. Guvercin Ada - the peninsula at the end of the bay, has a castle and swimming beaches, including a private beach and cafe with a view back across the bay to the harbor of Kusadasi. Kusadasi is also an excellent starting point to explore some impressive historical sights including Miletos and Ephesus and the rock formations at Pamukkale. Surnamed the "Pearl of the Aegean", Izmir is Turkey's third largest city and second most important port. It is a superb city of palm-lined promenades, avenues and green parks set along a circular bay. The magnificent coastline abounds in vast and pristine beaches surrounded by olive groves, rocky crags and pine woods. Konak Square and Konak Street are the best points to start your visit to Izmir. One of the most impressive landmarks of Izmir harbor is the Clock Tower, a beautiful marble tower 25 meters height. Other sights are the nine synagogues, concentrated either in the traditional Jewish quarter of Karatas or in Havra Sokak (Synagogue street) in Kemeralti. The Izmir Birds Paradise in Cigli, a bird sanctuary near Karsiyaka, containing 205 species of birds, is not to be missed. 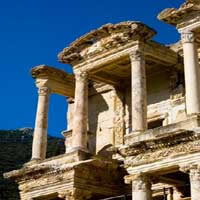 Izmir is also a good starting point to explore the many sights in the region. The perfect Combination! 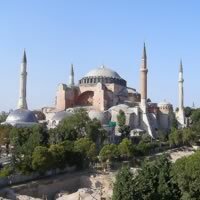 Visit Istanbul (A truly great romantic city, home to a layering of civilization on civilization, of empire built on empire. A stroll through this historic city will reveal ancient Roman hippodromes, peristyles, and aqueducts, the greatest excesses of the Byzantine Empire and the mystique and power of the Ottoman Empire) and Antalya (Located on the beautiful Mediterranean coast with a diversity of landscape ranging from high mountains to sandy beaches and an overwhelming number of archaeological wonders). Travel between them by flight. This is a flexible package. Select your number of nights in each city, desired hotel and activities. A winning combination! Visit Istanbul (a city on the edge of its rich history and bright future; cosmopolitan and quaint all at once) and Izmir (with palm-lined promenades, pristine beaches and the famous 9 Synagogues) by air. This is a flexible package. Select your number of nights in each city, desired hotel and activities. A winning combination! Visit Istanbul (a city on the edge of its rich history and bright future; cosmopolitan and quaint all at once) and Bodrum (home to the Great Mausoleum, once of the seven wonders of antiquity, and Bodrum Castle) by air. This is a flexible package. Select your number of nights in each city, desired hotel and activities. A fantastic vacation package, combing three wonderful destinations across Europe! Paris (the romantic City of Lights); Athens (the birthplace of democracy, the Parthenon) and Istanbul (a cosmopolitan city, whose modern structures only help to enhance the history of the city). This is a flexible vacation package. Select your number of nights in each city, desired hotel and activities. Combine these two fantastic, historic cities in one unforgettable vacation package! Rome (the treasure of Italy; centuries of artistic achievement and incredible history) and Istanbul (a culturally diverse city, cosmopolitan modern outlook with a rich history). Travel between these two cities by plane. This is a flexible vacation package. Select your number of nights in each city, desired hotel and activities. Combine Athens, the cradle of civilization; full of mythology and stunning ruins with Mykonos, the island oasis with winding streets and unbelievable beaches! 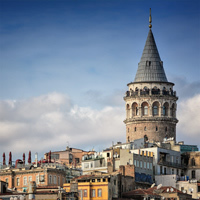 This completes your stay in Greece, next round out your vacation package with a stay in Istanbul, a splendid mixture of history and modernism - ruins stand alongside modern skyscrapers presenting a feast for the eyes. Flights between cities.This is a flexible package. Select your number of nights in each city, desired hotel and activities. Three top destinations to enjoy! Begin this fabulous trip flying into Athens ancient and modern, with equal measures of grunge and grace, bustling Athens is a heady mix of history and edginess. Iconic monuments mingle with first-rate museums. Then escape to Cairo and delve into this vibrant and energetic city, making a stop at some of the many mosques and palaces, or amuse yourself with the magnificent views of the pyramids of Giza, visit the capital's medieval markets by Khan El-Khalili, or walk down the Nile promenade. 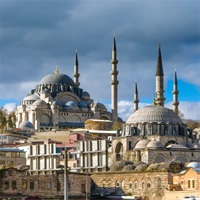 Lastly is Istanbul and explore their dazzling Grand Bazaar, which will give you a taste of the real Istanbul experience. This marvelous city will amuse you with their richness in culture, many temples and great shopping and exciting nightlife. Unforgettable adventure. Three amazing cities, full of history and passion, in an incredible vacation package! Begin in Barcelona (the awesome architecture of Gaudi, the dramatic Gothic Quarter, food, fashion and fun); continue to Rome (centuries of art, history and tradition; narrow alleys filled with shopping, cafes and superb food, as well as large open air plazas bustling with activity) and end in Istanbul (a city of civilization layered over civilization; several empires have wrestled control of the city and today it shows in the unique combination of art and architecture with a modern, cosmopolitan flair). Travel between these cities by plane. This is a flexible vacation package. Select your number of nights in each city, desired hotel and activities. An exotic combination! Dubai (Blending western influence and eastern tradition, it offers a fabulous cosmopolitan lifestyle and is for those seeking something different: man-made islands, the world's tallest habitable tower, the world's largest mall, a rotating tower and much more) and Istanbul (A truly great romantic city, home to a layering of civilization on civilization, of empire built on empire. A stroll through this historic city will reveal ancient Roman hippodromes, peristyles, and aqueducts, the greatest excesses of the Byzantine Empire and the mystique and power of the Ottoman Empire). Travel between them by flight. This is a flexible package. Select your number of nights in each city, desired hotel and activities. We had excellent experiences at all of our hotel choices. Our flights were uneventful and for the most part, on time.